I've been using my old GoPro 960 off and on since I started KAPing, but would like better resolution than it's capable of. 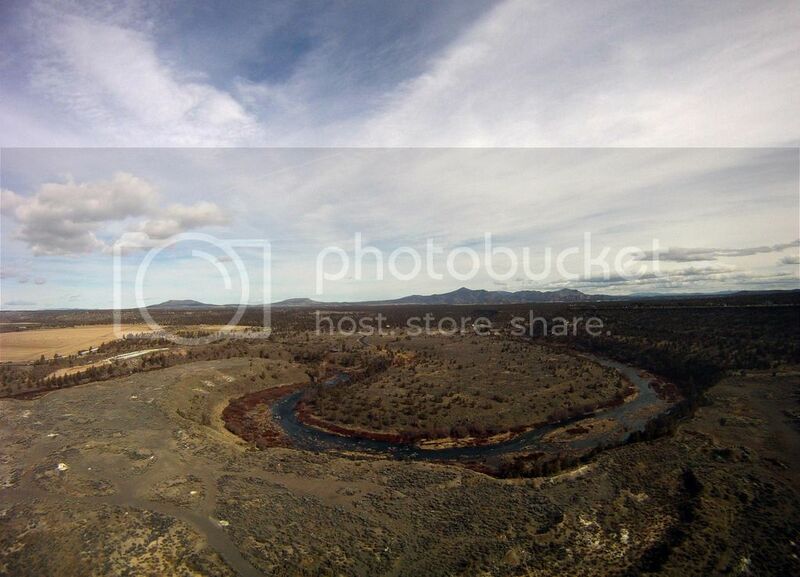 Since I augured in a cheap Coolpix in December, I don't feel like putting a new GoPro over the rocky areas I often fly in. I use a simple rotating gear rig on a pendulum, so light weight shouldn't be a problem. My sister-in-law gave me her old smart phone so I would like to play around with wifi, if only for the downlink. The resulting pictures will be for my own enjoyment, although the local newspaper occasionally publishes them. If any of you have both (or all three) of these cameras in your kit, what's your favorite? I would also consider a P & S camera if it was cheap enough to be disposable and had interval capability. I'm not happy with my Canon A2300, although it passed the cheapness test. Secondhand Canon PowerShot S100/S110s can be picked up for between £110-130 on Ebay UK from recent investigations. They hold their value well for a reason! KAP images from S90s and S95s are still appearing on Flickr I believe, but I do not know what used price range is. My A2300 suffered a lens error death. Luckily it only cost me £30. The phone may have a better camera than your GoPro, depending on how old it is. The 4MP camera here should be better than your old GoPro for video but your GoPro is listed as 5MP, so should be better for stills. The 16MP Xiaomi is miles better despite the refocussing hassle. The biggest decision is really about ActionCam or compact camera i.e. ultra wide-angle or the norm. I am not aware of any ActionCam that comes close to the Xiaomi Yi in that price bracket. Yeah John, I'm not fond of the wide angle of the GoPro or other action cams, but I'm less fond of dunking a $300 camera in the river or ocean. My GoPro has survived many mishaps. I've looked at some "rugged" cameras that have a more normal lens, but they're a little pricier than I want to get into yet. I had briefly read some of your posts on the Xiaomi before but didn't realize you could fix some of its shortcomings. I'm not very adept at hacking, but have used CHDK and might give that a go. Popping the case on a new camera is not for the faint-hearted. Not sure what the pixel count on this phone is or whether it will do interval shots. I'll take a closer look at the 4K too. Most phones will do interval shots with the free Open Camera app. Another app for normal photography is a Better Camera. There are so many apps out there. The 4K with OV4689 chipset is passable but leaves no leeway for cropping, unlike the Xiaomi. I avoid hacking, but refocusing the lens is not too bad. Getting the glue off the lens barrel is a pain but can come off in clumps. It looks like a glue gun was used. I do not do anything fancy for focusing. My usual approach is to use a 'point' source of light. For infinity, I use the street light at the end of my street at night and refocus for a minimum size of image. John - that looks sharper than anything I'm getting with the GoPro. I have Photoshop 7.0 and have to use the spherical distortion filter to correct for the lens. I lose quite a bit on the outer edges. So you disassembled your camera, loosened the lens, then focused before putting it back together? Larry - I like your photo. It looks fine. My image is not as sharp as it should be, but the contrast helps. If you get a Xiaomi Yi, check the quality of the image before you do anything....it may be OK! You prise off the front face of the camera with a finger nail or, in my case, a blade edge, moving around the edge lifting only a bit at a time. Try to lift the blobs of glue from around the lens barrel in one piece using something like a watchmakers screwdriver. You may have to resort to using a narrow blade. I have come across two models of Xiaomi Yi from last year. An older white one (Model YDXJ-v22, Firmware 1.0.12) and a more recent yellow and green one (Model YDXJ-v23, Firmware 1.2.13). There may be more! The more recent v23 ones (I have two) seem to produce better images than the v22 and I have had problems trying to upgrade the firmware on this older one. I do not know if the colours identify the models. The more recent ones also have a little spike under the front cover, which needs to be depressed for the camera to work when the front is off. You can focus the lens with the aid of a HDMI cable (not included with the camera) connected to a monitor but using WiFi to a computer tablet seems fine, although there is a delay for the image to get to the screen, so focusing is not quite instantaneous. After refocusing, take some photos of a distant object for careful analysis. If all is fine, glue the lens barrel in place, wait for the glue to set hard and then put the front back on. These cameras do not have a screen, so ensure that you can download the Yi Action app to your phone. This app is needed to set up the phone and control/view remotely. After setting up, the camera can also be set to take photos manually using the buttons, so you can fly beyond the WiFi range and still take photos or video. Just for the record my Xiaomi Yi is a white one, model YDXJ-v23 with firmware version 1.2.13j. So it seems they come in all colours and all firmware versions. Here's a shot of my RC KAP rig which has azimuth and elevation servos as well as a live video transmitter and remote shutter control. It weighs in at just 250 grams and gets a lot of air time. That is a beautifully engineered rig! More details please - exactly what components are on the rig? 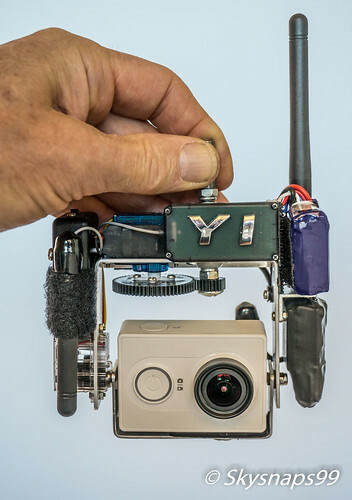 I can see the camera, the two servos and the two antenna but what are the other bits? For example what's that poking out from behind the camera and where is the battery? Thanks for the comments Dave. I'll do my best to explain. The elevation servo is fixed to the lower part of the left hand leg with the control box attached above it. The Rx 2.4 GHz antenna is fixed to the front control box. The 5 GHz video transmitter (black) if fixed to the lower part of the right hand leg by an aluminium bracket with the 3S, 180 mAh battery (blue) velcroed above that. 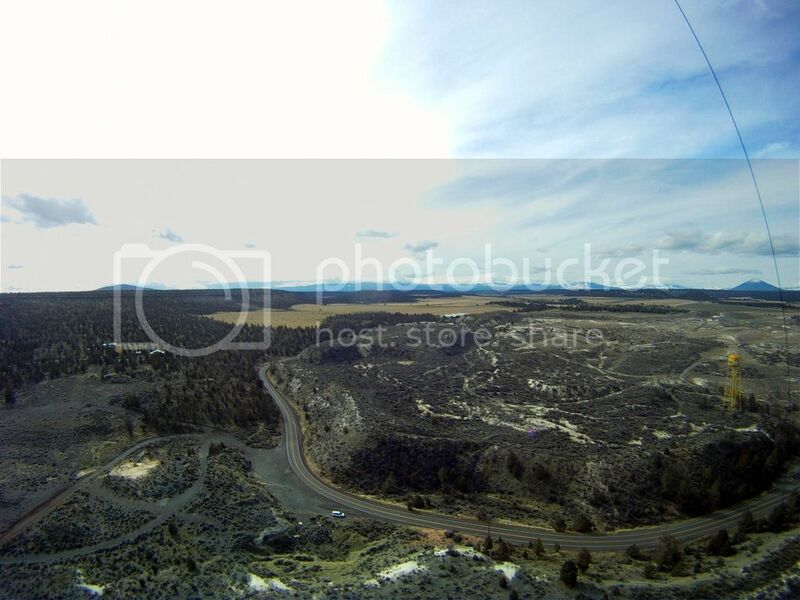 The 5 GHz antenna is in the upper right hand side. The 2.4 GHz receiver is on the RHS of the upper bracket (with the YI name on it). Next to that on the left is the azimuth servo (blue) with the video power RC switch (black) in front. The black object behind the camera is a modified right angle USB connector for the video out. You can just see the cable exiting behind the video transmitter. 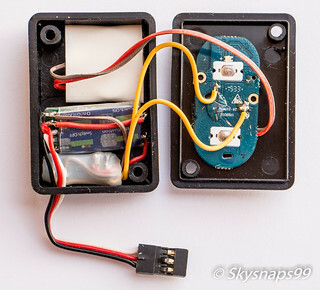 The control box contains the 5v regulator for the servos and the Bluetooth circuit board used to trigger the shutter. The RC switch and a tiny relay also fit into the control box. A earlier battery operated version is shown below. Hope this helps Dave, but I would be happy to explain anything else that is of interest. Thanks for that Al. Do you use the same KAP controller for this as for your Sony camera rig - this one. John - thanks for the detailed procedure. I'll try downloading the app before I go any further. Dave – These days I use the same KAP controller for all my rigs. It looks similar to the one you identified but is a bit slimmer. It uses an Arduino nano to control all rig servos as well as RC switches, shutter and panorama sequences etc. The catalyst for this foray into Arduino was provided by David Wheeler who described the PPM code needed to drive the RF module found in the Hobby King T6A transmitter. I’ve put a more detailed description on Dave’s thread (‘Repackaged R/C + Arduino KAP Controller’). I've got one of these camera's (us version) Do you have a pinout for the usb connector? can it be used to trigger the shutter?? I want to see if there was a way to trigger the shutter without a servo. The USB connector on the Xiaomi Yi is capable of providing video out using a cable such as this one. I don't know the pinouts as it was easier just to buy the cable. Al, how do you remotely trigger the shutter? Did you take that Bluetooth remote (range just 10m) and interface it somehow to the 2.4GHz receiver? All the parts fit inside a small plastic box which is mounted on the rig behind the antenna on the left side. The contents of the box are shown in the photo above. 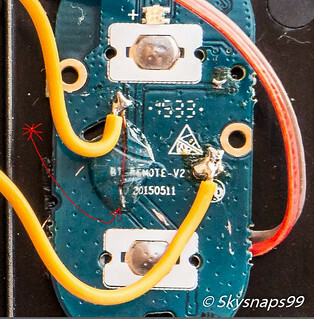 The button cell is wired to the Bluetooth board as usual. The RC switch is used to close the relay using power from the RC receiver and the relay contacts short the original switch contacts on the Bluetooth board. Since the camera is always just a few inches away from the Bluetooth remote board it works like a charm. Thanks for the reminder .... I keep forgetting the phone!! The wireless on the phone app only has a range 300 ft. So if you kap higher than that it won't work. Al for the info on using bluetoth, I presume you pre-paired it (the board and the camera). Yes John (jwl), I pre-paired the camera and board quite early on in the building exercise. Just a few minutes with the blue button on the side of the camera. Each time I begin a KAP session I check operation of the remote before launching and notice that the first shutter click takes a bit longer than subsequent shots. I assume that is something to do with re-establishing contact between Bluetooth and camera but there is no need to go though the pairing exercise again and once the first shot is done it's almost instantaneous from then on. I bought the SJCam 5000+ last year. This is the one with the Ambarella processor and the Panasonic CMOS chip. Mine came with V3.1 firmware. very glitchy on/off sequence, sometimes it would hang, resolved by taking battery out. very poor battery life, latterly it seemed none existent. So I decided to spend sometime Googling to try to see what others had experienced. In short very similar to mine. Further reading led me back to SJCam's support pages and the recommendation to update the firmware. Now firmware updates are not for everybody but if you need to update your SJCam I can only say it was a breeze. Result. I now have a better functioning 5000+ it just feels different when accessing the menu, which has a new easier interface. I've yet to do some battery endurance tests but if just playing around with the menu is anything to go by then the firmware has visited the battery department as well. However, the mega bonus, to which I'm in awe, is the video format increase to 2k. Not only that there is now a wide, medium and narrow field of view to go along with it. All I need now is the time off when it's not raining to get my gimbal rig up with said camera. Happy Days!! Last year I bought a genuine SJCam4000. I used it a lot and am pleased with it. I also bought a gimbal which eventually worked well but i haven't used it since I managed to sort it out. There are also photos, mainly straight off the camera, in the albums :- OSOW Pontifract - hardly any wind, Lake District Crummock Water where I took the camera and Stowawy delta for a walk, Abandon normal devices with the camera on a very short pendulum and not a lot of wind for the box kite it was attached to or for the Levi later on. , Bristol Kite Festival and Mappleton landslip. When the camera is not on the gimbal, you can plug in a video downlink. The photos can be straightened a lot in photoshop but there isn't a pre-set staraightener like there is for the Go-Pro. Sue, thanks for the link. Love the Lake District shots - reminds me of Glacier National Park in Montana. Al, I now have the parts, blue tooth controller, relay, and receiver switch, can you provide details, pics of how you connected them up, the picture of the small box s kinda unclear. You shouldn't have too much trouble putting it together providing you check for correct operation at each step. I suggest that you first ‘pair’ the board and camera then check operation before opening up the Bluetooth unit to free the circuit board. You may wish to check operation again after attaching the 3 v button cell. I used a new CR2032 cell with solder lugs to make it easier. The only difficult part in putting this together is in finding the shutter switch contacts on the Bluetooth board. If you zoom in on my photo of the board you will see that I have soldered a short piece of enamelled wire to a copper circuit trace coming from the switch and fixed it with epoxy. The other connection is a readily accessible ‘common’ point. You will need to scrape away the green enamel to make both connections. You can easily confirm that you have located the correct points by shorting them out to activate the shutter, independent of the relay and RC switch. Hope this helps and that you’ll be KAPing with your Xiaomi Yi via remote control very soon. I see 4 traces coming off the left side of the switch, which one is it? they look really close together. The picture gets pixelized when i zoom in and it is hard to tell which trace to use. The enlargement below should clear up any uncertainty about the shutter connection point. The red arrow points to the circuit trace which is connected to the shutter switch. A short length of enamelled wire is soldered to this point and epoxied in place to provide a secure termination point for the rest of the wiring. I may be being stupid here, but why did you need the relay? Couldn't you just connect the two Turnigy 'switch contact' outputs to the two Bluetooth switch contacts? Just an update on my SJCam 5000+ Today I switched on to find a frozen screen with the SJCam coloured bar. No amount of multiple button pressing or battery removal seemed to solve the issue. Back to the SJCam forum. Sure enough the exact symptoms had been experienced by others. Seems that a cold joint appears to be the culprit. So I tried the recommended test to resolve. Sure enough after heating the exposed ribbon track the camera booted up OK. Even after cooling down it still seems to work, but for how long? Further reading also threw up another issue I had with earlier versions of the firmware, as indeed others had. That of short battery life and the battery hence the camera heating up IMHO to extreme temperatures. Using the old formula of 2+2=4 or maybe 5 are the two related? Extreme heating could damage the very fine conduits and over time cause them to fail. Heating them up again might just reconnect them? It's a pity as this is a belting little camera for the money. Although other brands are gaining ground as newer models come out.